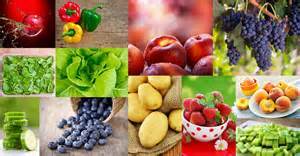 Have you been trying to incorporate more organic nutritionally dense produce into your life? Are you feeling like you’re spending too much money on organic? Wondering if it’s worth it? Two-thirds of washed produce samples in recent government tests had pesticide residues. Did you know A single grape sample contained 15 pesticides. Single samples of celery, cherry tomatoes, imported snap peas and strawberries showed 13 different pesticides a piece. Or how about the fact that a conventional head of lettuce contains 68 different pesticide residues?! 68!! The USDA’s most recent pesticide monitoring data included hundreds of samples of packaged baby food. Which was found to contain acetamiprid, a neonicotinoid pesticide, as well as carbendiazim, a fungicide. The USDA found 6 different pesticides in apple juice, including DPA, which was banned in Europe in 2012. I encourage you to do further research on the toxicity and dangers of pesticides and fungicides used by big agra today. So are ALL conventional fruits and vegetables dirty? … Not quite. Avocados were the cleanest: only 1 percent of avocado samples showed any detectable pesticides. Some 89 percent of pineapples, 82 percent of kiwi, 80 percent of papayas, 88 percent of mango and 61 percent of cantaloupe had no residues. No single fruit sample from the Clean Fifteen™ tested positive for more than 4 types of pesticides. Detecting multiple pesticide residues is extremely rare on Clean Fifteen™ vegetables. Only 5.5 percent of Clean Fifteen samples had two or more pesticides. 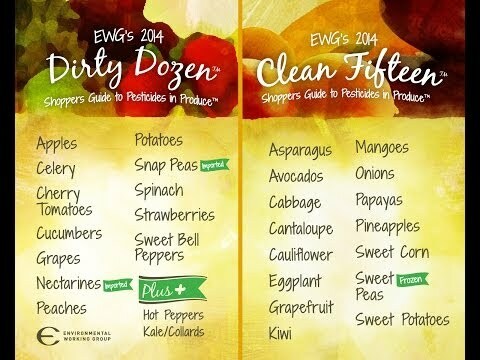 I want to share with you The Environmental Working Groups’ Dirty Dozen & Clean Fifteen Shoppers’ Guide to Pesticides. Print this awesome guide out and stick it right on your fridge! Keep yourself up to date as the levels change each year. It is good to know that you can save some money by buying conventional on some important staples that could have 0 pesticide residue. Although, wouldn’t recommend buying conventional sweet corn because it is almost certainly genetically modified. That’s another crazy way they are messing with our food supply. I’ll go more into that in a future post. I hope you are able to use this tool in your daily life. It has definitely saved me some money since I started to use it. I used to let it slide when buying strawberries, bell peppers, and cucumbers because they are so unbelievable expensive for organic. I also used to avoid every item on the clean fifteen list unless it was organic. Ironic, huh! Knowledge is power. Vote with your dollars. When you can, buy organic. If you can’t AVOID the dirty dozen.